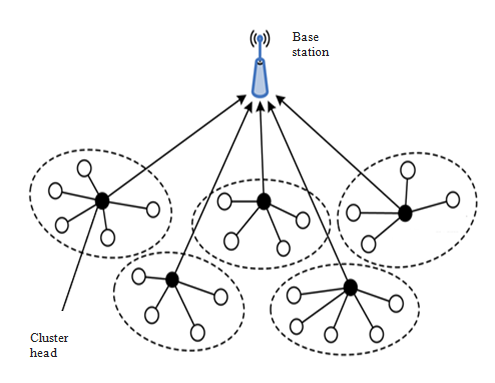 In the traditional clustering routing protocol of wireless sensor network, LEACH protocol (Low Energy Adaptive Clustering Hierarchy) is considered to have many outstanding advantages in the implementation of the hierarchy according to low energy adaptive cluster to collect and distribute the data to the base station. The main objective of LEACH is: To prolong life time of the network, reduce the energy consumption by each node, using the data concentration to reduce bulletins in the network. However, in the case of large network, the distance from the nodes to the base station is very different. Therefore, the energy consumption when becoming the host node is very different but LEACH is not based on the remaining energy to choose the host node, which is based on the number of times to become the host node in the previous rounds. This makes the nodes far away from the base station lose power sooner. 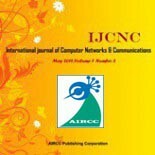 In this paper, we give a new routing protocol based on the LEACH protocol in order to improve operating time of sensor network by considering energy issues and distance in selecting the cluster-head (CH), at that time the nodes with high energy and near the base station (BS) will have a greater probability of becoming the cluster-head than the those in far and with lower energy. LEACH, Life-time, Energy efficient, WSN, Matlab. Wireless sensor networks are used in many fields such as: National Defense, civil, health, transport, environment and agriculture . 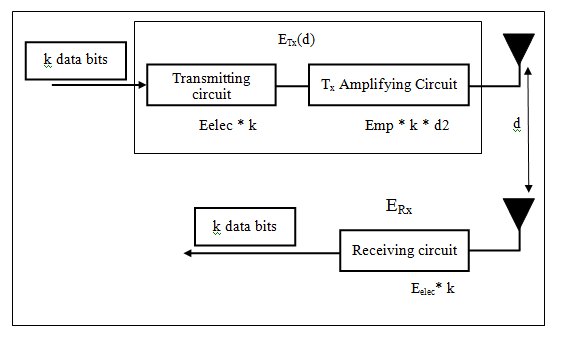 Disadvantages of the wireless sensor network are limited energy, short time of energy supply source (usually battery) for each sensor, limited duty cycle of each sensor, multiple and changing constantly number of sensor nodes, (when out of the energy, sensor nodes will be removed from the network , when interrupt radio channel caused by the obstacle appearing in transmission) makes the structure of the network change , . Limiting sensor network energy is due to small available energy in the sensor network, sensors could hardly load supplement energy (wide dispersion sensors should be hard to recover, some sensor network located in the dangerous or toxic environments) While it must use energy to gather news from the surrounding environment and each sensor also needs energy to process, synthesize and transfer the information constantly to the central node of the network, especially in volatility of the surrounding environment , . With the special characteristics of the sensor network, especially energy-saving issues and regular structure change, the recent researches are done at many different levels, from the level of the element (ability of the sensor node) to level of system (communication efficient and type of connection) and application level. The most notably issue in the system level is the research focused on network class in order to design the routing protocols to save energy, extend life of network , . This paper is divided into five parts, part I of introduction, part II presents the related work, part III improvement of traditional clustering protocol, part IV of simulation results and assessment, part V of conclusion. LEACH is the Low Energy Adaptive Clustering Hierarchy, based on the sort algorithm, of which the nodes can be randomly distributed, and formed clusters (Self configuring cluster formation). The host node is able to control the cluster nodes in the cluster to send data to a certain cycle. In the host node, the data will be collected and processed in many different levels, depending on the application, before sending to the base station . The common characteristics of the wireless sensor network application are that data of the node sent, usually, has correlations with each other, end users do not need to request all data (the same data-Redundant), or just the information that has been processed, described events that appear in the environment of the sensor node. LEACH routing protocol is very fit to applications with such characteristics. In LEACH Protocol, due to sensor data sent from the adjacent nodes with a huge correlation, all data from the nodes within the cluster will be processed locally at the host node before sending to the base stations, reduce the excess amount of information circulating on the network in order to save energy of the node . When the hose node dies, all nodes in the cluster will not be able to exchange information. Therefore, LEACH makes randomly rotation of the host node role in all network nodes to avoid energy consumption on a fixed number of nodes [10, 11] Sensors and communications processes in LEACH protocols are designed appropriately to minimize the energy consumption for the nodes other than the host node. When the host node knows all the member nodes in the cluster, it will send a TDMA newsletter to inform each node exactly when to perform the task of sensors and data transfer to the host node. This mechanism allows the normal nodes to exist in the Sleep State in most of the time, only when it’s time to perform the task of the sensors and sending data, the node is active. Moreover, using TDMA newsletter for the transmission of data also helps avoid collision in the cluster . In order to improving the life-time of the network in the protocol based on clustering algorithm, selecting the cluster-head, coefficient of considering most is selecting the cluster-head based on energy of the nodes. New improved protocol is developed protocol based on the LEACH algorithm in which electing the cluster-head is based on the remaining energy of the node. Selecting the cluster-head based on energy will be more effective, the nodes with high energy level will have a greater probability of becoming the cluster-head than those with low energy level, thereby balancing the energy consumption in the whole network. Similar to LEACH Protocol , the Protocol proposes to divide activities of the whole network into the cycles, each cycle consists of two basic phases: Clustering phase and data transfer phase. 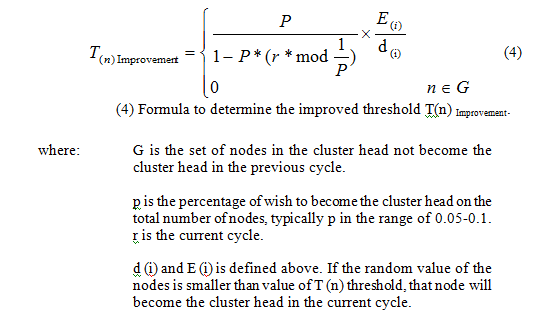 The use of the remaining energy parameters of the nodes will increase the probability of becoming the cluster head with high energy level, at the same time distance from the cluster head to nodes will make the node near the base station have a greater probability to become the cluster head than those far from the base station. After selecting CH, CH will send its location information to BS, and it will promote the INVITE messages to the surrounding nodes, this message has the same signal intensity. The common nodes after receiving the INVITE message if participating in the cluster will send back the ACCEPT message. If the nodes get many INVITE messages, they will be based on the signal strength of the INVITE nodes to decide to join the cluster head with the greater INVITE message signal strength (near the cluster head). If the cluster head does not receive the ACCEPT message, it will send INVITE messages again, if still don’t get the message ACCEPT it will send data directly to the BS without creating TDMA table. After the clustering process is the process of data transfer. The process of data transfer includes 2 main steps: Process of transmitting data from the normal nodes to CH and process of transmitting data from CH to BS. In the process of transmitting data from the nodes to the CH, CH will create table of TDMA specified data transmission time frame for the nodes in the cluster, it will then promote this TDMA table to nodes in its cluster. The nodes in the cluster based on this table will know time to send the data to the CH, in the remaining time the nodes will be in sleep state to save energy, the method using TDMA allows the nodes to transmit data to the cluster head and helps avoid collision with other nodes. 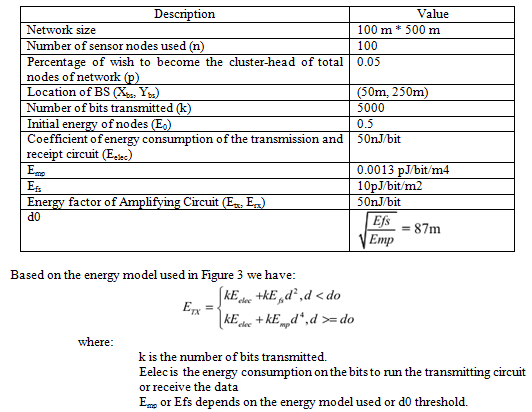 In this section, simulation of traditional clustering protocol and new improved protocol use the same energy model and parameter below. Figure 3. Energy model used in the simulation. Table 1. Data contains the parameters to simulate. 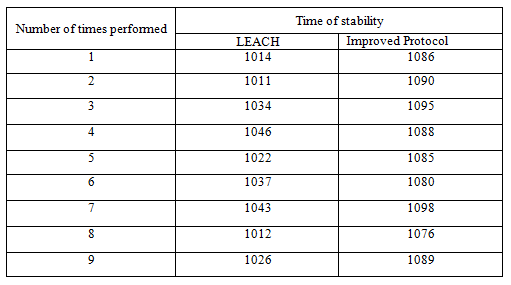 To assess the energy efficiency of new improved protocol with LEACH protocol the author based on of the following criteria: . New improvement protocol elects cluster head on the basis of initial energy, residual energy and distance of the nodes from base station. Cluster heads further act as routers to base station and aggregation of the collected data of its members are also performed by them. New improvement protocol operation is divided into rounds and each round further consists of two phases: setup and steady-state. In setup phase New improvement protocol does the cluster heads election, cluster formation and determine the communication schedules for its members. When cluster formation is completed in setup phase. New improvement protocol switches to steady state phase. In this phase it completes the data sensing, data transmission to cluster heads and aggregation of the collected data of its members . Stabilization time is defined as the period of time from the start of the operation to the time to stop working of the first node. The network’s life-time is counted from the beginning until the whole nodes stop operating, assessment of efficiency of the routing protocol. The data sent from the cluster head to BS: the amount of data successfully transmitted from the cluster head to the BS, the amount of data shows the effectiveness of the Protocol in the data transmission to the base station. Table 2. Survey of the stabilization time of the network. Fig. 5. Comparison of stability life-time of the two protocols (E0 = 0.5). 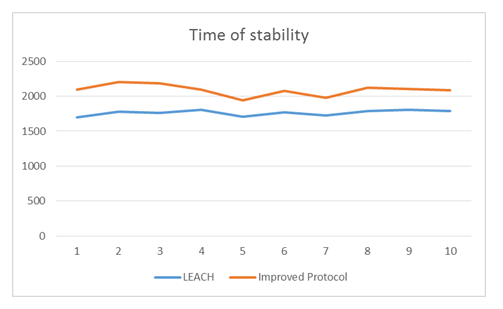 With the initial energy of 0.5 J, LEACH protocol has improved the time stability of the network increasing 20%, lifetime of network with increase of 33%. The use of energy efficient sensor nodes, improving the operating time of the wireless sensor network is the most important issue in which optimum energy is considered as the most effective method in extending operation time of the network. In this paper, we have improved a new routing protocol to enhance the operating time of the sensor network. This Protocol was developed from the traditional clustering protocol (LEACH) by considering energy issues and distance in selecting the cluster-head, at that time the nodes with high energy and near BS will have a greater probability to become the cluster head than those at a further distance and with lower energy. Simulation results show that improved LEACH Protocol increases the operating time of the whole network from 33% to 51% in comparison with the traditional clustering protocol (LEACH). However, this Protocol is applied only if the base station is located in the region of the sensor. If the base station is far from the sensor it will make the distance from the node to the base station larger, then the threshold used in the small improved LEACH protocol will make the nodes hard to become the cluster-head or small number of cluster heads will lead to to energy imbalance in the transmission of data to the base station. The nodes to the cluster-head. The cluster-head to the base station. Meanwhile, updating location information of the cluster head and sensor nodes as well as transmitting that information on the network can cause a significant energy consumption of the nodes. The information needs to be processed about the speed of movement and change of network configuration in terms of limited energy. Tran Cong Hung was born in Vietnam in 1961. He received the B.E in electronic and Telecommunication engineering with first class honors from HOCHIMINH University of technology in Vietnam, 1987. He received the B.E in informatics and computer engineering from HOCHIMINH University of technology in Vietnam, 1995. He received the master of engineering degree in telecommunications engineering course from postgraduate department Hanoi University of technology in Vietnam, 1998. He received Ph.D at Hanoi University of technology in Vietnam, 2004. His main research areas are the B-ISDN performance parameters and measuring methods, QoS in high speed networks, MPLS. He is, currently, Associate Professor PhD. of Faculty of Information Technology II, Posts and Telecoms Institute of Technology in HOCHIMINH, Vietnam. Ly Quoc Hung was born in Vietnam in 1976. He received the B.E in infor matics and computer engineering from HO CHI MINH Open University, Vietnam, 2001. He is working as lecturer in HO CHI MINH City Technical and Economic College, Vietnam.